Win a free homesteading/garden/microbusiness consultation! Are you struggling with a thorny garden problem and can't figure out why your cucumbers keep dying or what that pesky weed is in your pasture? Maybe you're more interested in breaking free of your job and need some tips to turn your microbusiness idea into a reality. Or perhaps you've just moved to your dream homestead and are trying to decide where to put the chicken coop and which of those sticks in the yard are fruit trees and bushes. We're here to help! One lucky reader will win a free consultation to smooth their path to homesteading independence. Two hours of email answers from me and Mark can save you weeks (maybe even years) of trial and error, and we promise you'll get your money's worth. Use it up all at once, or have Walden Effect as your on-call mentor all summer. What do you have to do to enter our giveaway? 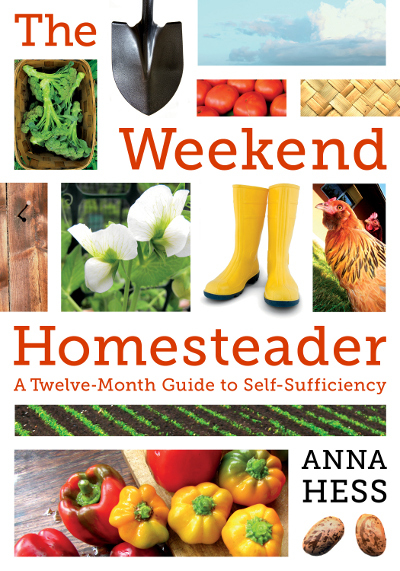 The paperback edition of Weekend Homesteader is now available to preorder (yay! ), and we need help spreading the word. This more polished version of the monthly ebooks I've been publishing for the last year contains 368 pages of full color photos and text to guide you on the path to self-sufficiency. Even if you've read all of the ebooks, I suspect the $11 paperback will be worth a second read since I've added in dozens of sidebars and three all new chapters. The Weekend Homesteader won't be in print until October, but you can preorder now and be the first on your block to hold a copy of the book in your hands. Preorder the book on Amazon. Tell your friends via facebook, google plus, your blog, email, twitter, or even plain old face-to-face chatting. A very easy freebie for all of you --- click the "like" button on the Amazon page of my paperback. Some other ingenious way of spreading the word --- you decide! So, if you preordered two copies of the book, posted on facebook and your blog, and left two reviews, you'd be entered six times! The more times you enter, of course, the more likely you are to win. (Just be sure to leave a comment on this post before midnight on April 13 to tell me how many times to put your name in the hat.) Thanks so much in advance for entering and helping spread the word! Ok I saw a mention of your December Homesteader on facebook from Prepper Chicks. I left a comment there about your paperback and on my own facebook page. I have preordered and am so happy you decided to put them all together like this in paperback. Thank you again for once sending me the hard copys so I could print them off and store them, but now I'll have an official version. 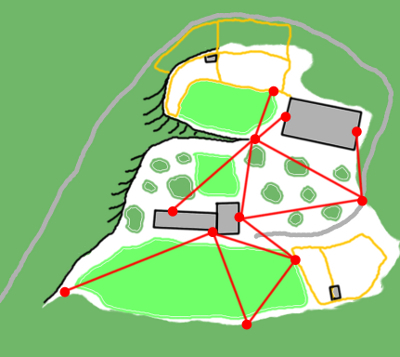 I posted it to the Groaction Permaculture Online Group on facebook. It has 422 members and has been a pretty active group. Im actually moving today -- leaving my posh apartment in lovely Toronto, Ontario to spend seven months as an intern on an organic farm. I wrote in my post to permaculture group that one of reasons Im doing that is because Walden Effect has been a daily reminder to me that simple living is the best lifestyle. So that`s one ballot for me in your draw. Cheers! Thanks! Erich and J --- Thanks so much! I really appreciate the personalized word-spreading. It makes a huge difference! J --- Good luck with your adventure! Pre-ordered this morning, just went back and "liked" it and shared on Facebook. Can't wait for it to be delivered! Debbi --- Thank you! I can't wait for it to be delivered either. Aunt Adri sent Mom (and me) the news about your soon-to-be released book. I clicked "like" on the amazon.com page, on general priciples. Onward and upward. Beth --- Thanks so much for "liking" the book, and dropping by to say hi! Enter my name 5 times....I finally got around to leaving you some reviews! I've asked for the book for mother's day! Fostermamas --- Thank you so much for your kind reviews, and for spreading the word at the same time you purchased the book. Smooth! Okay! I have "liked" it on FB, wrote a post about it on FB, pre-ordered a copy, and wrote a review for Incubation Handbook on Amazon. I have been considering pre-ordering it for my Mother-in-Law and Sister-in-law. Do extra copies ordered count? Emily --- Awesome! I read and really appreciated your Incubation Handbook review --- it's folks like you who keep me writing. More copies definitely means more entries! Mama Homesteader --- Not only did you spread the word, you made me laugh. Thank you!